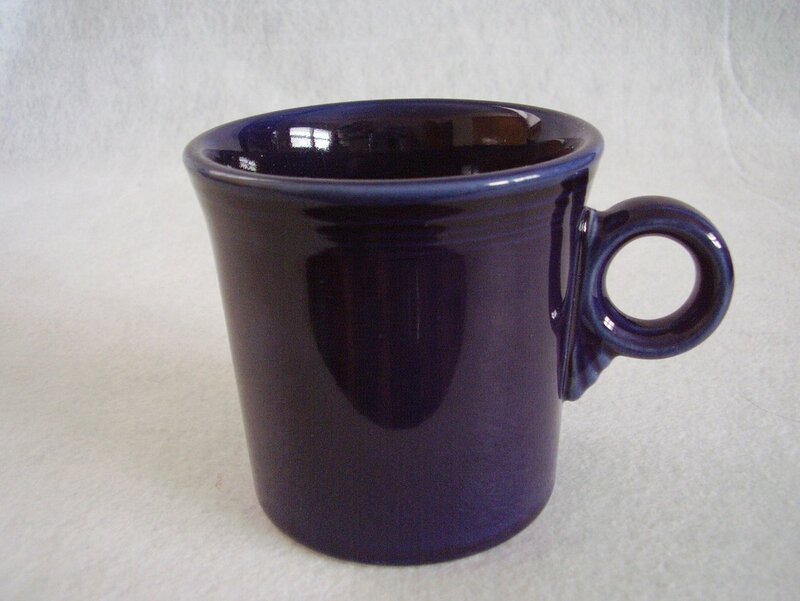 Contemporary Fiestaware Cobalt T & J mug. It measures 3 1/2 inches tall and holds 10 1/4 oz. It appears as new and never used. There are no cracks, chips, fleabites or scratches. 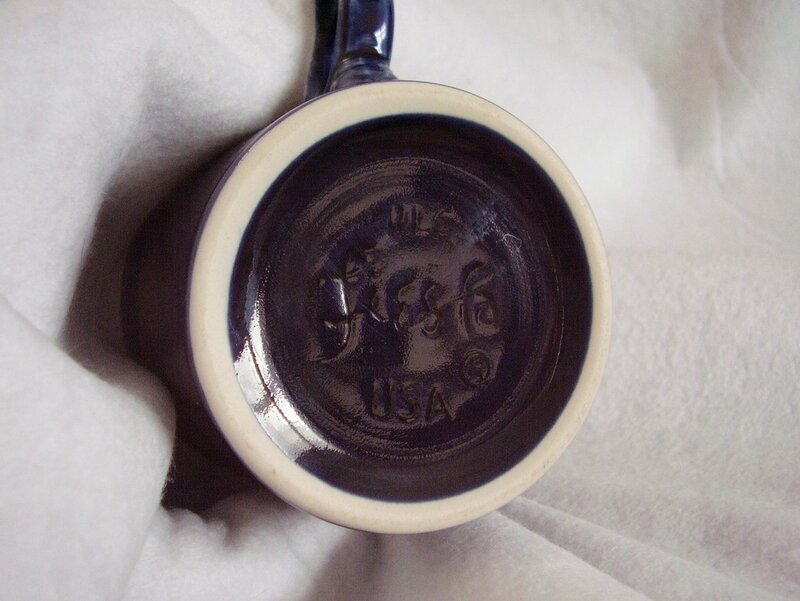 Contemporary Fiestaware Cobalt T & J mug. It measures 3 1/2 inches tall and holds 10 1/4 oz. The color was introduced in 1986 and is still open. It appears as new and never used. There are no cracks, chips, fleabites or scratches. We offer many pieces of Homer Laughlin's Fiesta dinnerware. Some are new, some have been purchased at Estate and tag sales. We will always give you a critical description of each piece.